DAVID LE/Staff photo. 2/17/15. 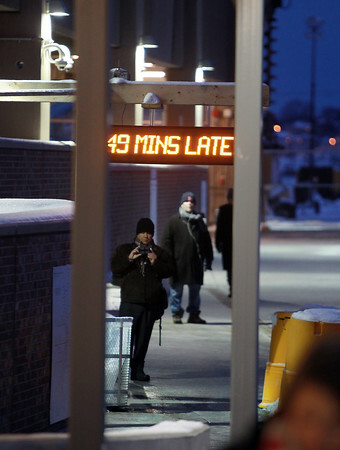 A commuter waiting at the Salem MBTA station looks over at a flashing message indicating a delay in the commuter rail on Tuesday evening.